HOT!!! Sub-character dakimakura by original illustrator, Misasagi Fuuri’s doujin circle. Sorry for the late notice! 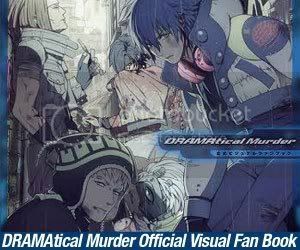 I only found out about it just now (*o*) Preorder for the dakimakura cover ends tonight Japan time 20 August 2012, 2400 hours. Created by doujin circle headed by Misasagi Fuuri みささぎ楓李, the original illustrator for the Kichiku Megane game series. These 2 sub characters are right: Sawamura Noritsugu 澤村紀次 (a do-S megane. Paired with Megane Katsuya) and left: Matsuura Hiroaki 松浦澤村 (appears in Honda Kenji x Normal Katsuya routes). Apparently she conducted a survey about making the dakimakura cover some time back in July 2012 but I was completely unaware of it. The 160 cm size is pretty good cos it is easier to find cheaper inner stuffing for. If I bought it, I wouldn’t have to buy another stuffing :) On the flip side, it won’t be “size-compatible” with previously released official Kichiku Megane character covers which measure 180 cm each. Sawamura Noritsugu is Saeki Katsuya’s 佐伯克哉 childhood friend. He appears in a flashback in Spray’s first Kichiku Megane 鬼畜眼鏡 game and as an uke target in Kichiku Megane R 鬼畜眼鏡 R. This character is voiced by Kishio Daisuke 岸尾だいすけ. Matsuura Hiroaki is Katsuya’s University school mate and appears in Kichiku Megane R seeking revenge on Honda Kenji. This character is voiced by Nakamura Yuuichi 中村悠一. @SnowMiyu: So unexpected huh D: If only I found out earlier.